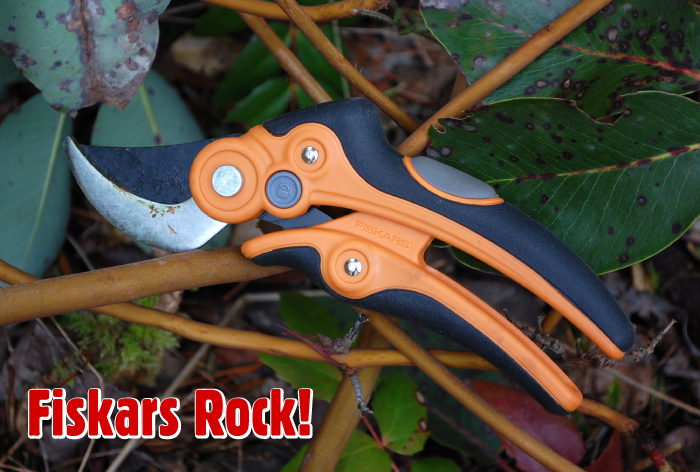 Bought a pair of pruning shears. After a day of use they stick closed after making a cut. I can work them loose and pop them open to be ready for the next cut. But after repeatedly doing this a blister is forming. Ugh. Not very impressive as I had always though Fiskars was a brand where you’d pay a few extra bucks but never have any problems. No phone hassle. No queue. No questions other than why are you wanting a replacement and where you bought it. Just… their on the way. “Wow” I thought. Why not? It made so much sense. If after I submitted my claim, Fiskars then figured there was an issue regarding my claim, they could then jump in and stop the process of my replacement. But for the majority of claims, why not just usher them through without interaction, as Fiskars wisely has chosen to do. I got the new replacement pair a week later and they are working great. The efficiency of their warranty process just stopped me in my tracks and made me think “There’s a company who gets it!” and “I’ll have to share a blog post to thank them.” Thanks Fiskars! If you care to visit their Canadian website click here.